Argentine football great Diego Maradona has been released from hospital after being admitted earlier on Friday with internal bleeding in the stomach. His daughter Dalma wrote on twitter “For those who were really worried about my dad I can tell you that he is well”. The 58‑year‑old was having a routine medical in his homeland of Argentina before returning to Mexico, where he is coach of a second division side, when doctors discovered the problem. However, a source close to the family says the problem was not serious and that the former midfielder, who famously led his country to the 1986 World Cup title, was not in any danger. Another source said Maradona may have to undergo more tests. 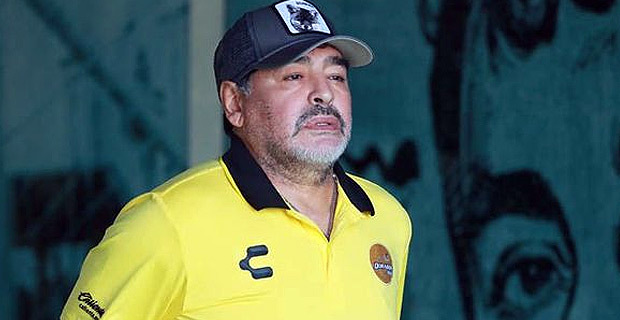 Friday's scare was the latest for Maradona, who has suffered frequent periods in hospital over the years, often due to his extravagant lifestyle. He last fell ill at the 2018 World Cup in Russia, where he was filmed passing out in an executive box.